I bet I know what you’re thinking: “Here’s another entitled brat thinking it’s my job to please her when I’m the one paying!” Right? But that’s not what this post is about. Rather than a lecture on the right way to treat a freelancer, I want to tell you how to become that one client that a freelancer will do absolutely anything for. I do my job no matter how a client treats me. It’s not that I haven’t “fired” clients. But even if that becomes necessary, I finish all the work we have in progress, and I do my best to knock it out of the park — just like I would for anyone else. But if you want a freelancer who will always make time for you (even if that means staying up after midnight to finish the other work they put on hold), who will write what needs to be written even if that means going beyond the agreed-upon word count, and who will continue to cheerfully make edits even though it’s because you keep changing your mind — well, you can have one. I don’t know a single writer who won’t go to the ends of the earth for a favorite client. Believe me, we want that relationship as much as you do. So I’m going to share a few insider secrets on the best ways to worm your way into a freelancer’s heart (not to mention the top of their inbox). Be clear about whether you’re looking for copy or content strategy. One of the most important things I learned working in corporate communications is that what clients ask for isn’t always what they need. Sometimes they just explain it poorly. Sometimes they haven’t thought through all of the possible ramifications (like a post I read recently from a female business owner explaining why she’s hesitant to hire moms). And sometimes they just don’t know how this whole “content marketing thing” works. And that’s fine — if everyone knew this stuff, I wouldn’t have a job. But things get messy when the writer and the client have mismatched expectations. If you hire me to churn out copy to meet a certain set of specifications (which is a lot harder than it sounds), neither of us is going to be very happy. You’ll probably hate me by the fifth time I call you to say, “What do you think about doing it this way instead?” Or “Are you sure you’re clear on who your audience is?” Or even, “Do you really want to say that?” I’ll be frustrated and bored, and you’ll be gritting your teeth and muttering some version of “Just go write what I asked for, dang it!” And I’ll be wondering why you’re wasting money on my rates when you clearly know what you want and could get somebody to execute it for a lot less. Respond promptly when I call or email. I promise I’m not calling to talk you into buying some of my daughter’s Girl Scout cookies. Nor am I calling about something I could resolve on my own with a little research, because that’s my job. If your writer is bothering you with a question, it’s probably something that only you can answer. Usually, it’s a matter of direction or purpose. And the sooner you answer, the sooner your writer can deliver. When it comes to word count, give a little to get a little. If you complain when a post comes in at 495 words rather than 500, guess what’s going to happen the next time your freelancer writes 550 words instead of 500? When you treat word count as a guideline rather than law, magic happens. Your freelancer simply writes what needs to be written instead of leaving important information out or adding useless fluff just to get to a certain number. I go over word count fairly often, and I’ve never asked for additional compensation. It’s just part of my business model to exceed expectations. However, please don’t make a big deal on the rare occasion I write 495 words instead of 500 (provided, of course, I’ve covered everything you asked for). I prefer to be flexible on that sort of thing, but it goes both ways. Don’t pee on the trees. A long, long time ago, I wrote for a gentleman who felt compelled to change something in everything I wrote. It was as if he didn’t think he was doing his job if he didn’t leave his mark (thus the peeing on trees analogy). It got to the point where I would purposefully insert a typo or two to keep him from changing the important stuff (worked like a charm!). Don’t get me wrong — I would never expect my clients to accept work that doesn’t meet their expectations. I’m not happy until you’re happy, and I’ll do what it takes to get us both there. But questioning my use of the Oxford comma, or whether the verb “feel” takes an adjective or adverb, is like hiring a chef to cook a meal for you, only to sit there at the table and eat a peanut butter sandwich. Sure, I make mistakes, and I’d much rather have a client point them out than to publish something that contains an error. So please speak up if there’s a problem or if you have a question. But don’t pee on the trees just because they’re there. If you’re content being just another client, feel free to ignore every one of these rules. You still have every right to expect quality work, and shame on any freelance writer who doesn’t deliver. 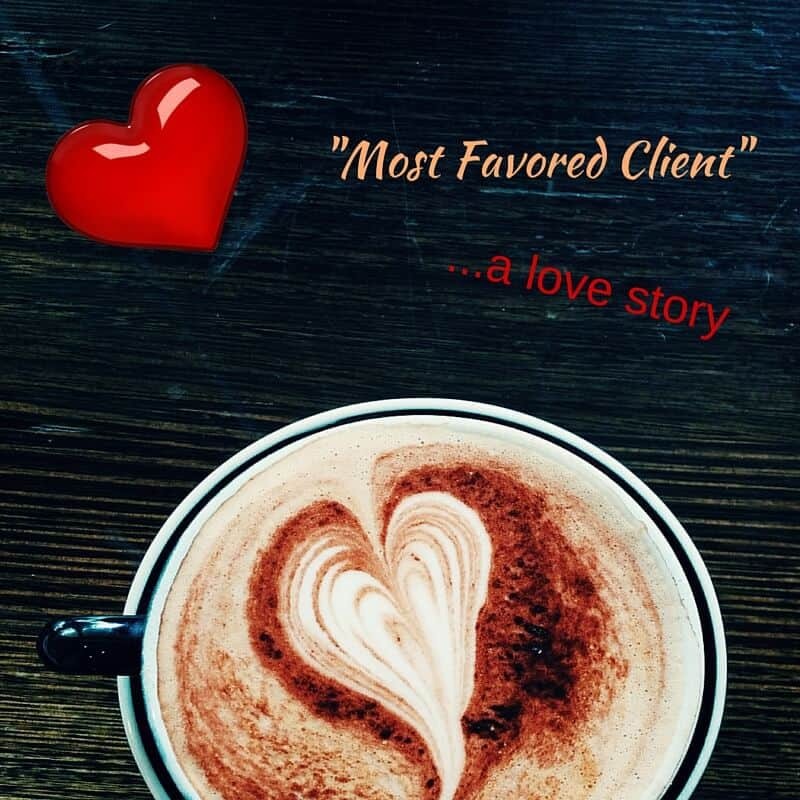 But favorite client status is something special. And it comes in very handy when you need a freelancer to work miracles.